Beautiful Lake – Bandung, it is an appropriate name for this city dubbed with the nickname of the city of flowers. because the wealth of natural attractions make the city of Bandung looks stunning, such as the scent of flowers. One of the spots is Lembang, Bandung area. Lembang, Bandung region, an area that has several attractions that are often visited by the tourists. The cool air of Lembang attracted tourists to spend vacation time in Lembang. When visiting Lembang area you can find some well-known attractions like Tangkuban Perahu, Ciater Hotspring and many more attractions that can be found in the Lembang. one of them is Situ Lembang (Lake Lembang). Lake Lembang extent of 74 hectares, is located at an altitude of 1,567 meters above sea level at the foot of Mount Tangkuban parahu and Mount Burangrang with a rainfall of 2,500 mm / year and the air temperature is 15-25C, The lake is surrounded by steep-walled mountains in the north of the circle to the west and merges with Burangrang mountains. In the past, the area was part of the caldera of Mount Sunda Ancient wall that erupted millions of years ago. The rest of the Ancient Gunung Sunda eruption left a trail that led to Tangkuban Parahu that is on the east side of Lake Lembang (Situ Lembang), also a small peak that is often called “Mount Sunda” at the north of Lake Lembang (Situ Lembang). time of the Dutch Government, which is about 1914. The water came from well at Cimahi River upstream and several springs in the vicinity. One of the water comes from the southwest upstream. Surrounding communities call that (Hulu Cai) upstream water, is likely to come from the Mount Burangrang. 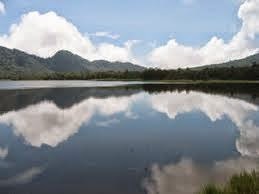 Lembang lake has become the largest water reservoir in the northern Bandung. From the lake, the water is channeled back into the river through a Cimahi Waterfall, then divided into irrigation and municipal water company. In addition to being a provider of water, Lake Lembang has multiple functions. With natural forest that surrounds it, this area used to be simply production forest. However, now, its function is expanded in the direction of recreation. 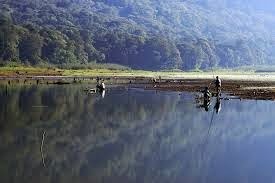 Local communities, especially those living in the foothills of Mount Burangrang, make Lake Lembang as a fishing spot, while tourists from Bandung and other areas do picnics, hiking, and boating on the lake. Some of the facilities available at the Lake Lembang including walkways, parking lots, information boards/driving directions and a picnic area. you can Access the spot from District Cisarua (8km), Lembang (18km), Cimahi (18km) still with a bit of a rocky road. However, it can be passed by two wheel or four-wheeled vehicles. However, of the many functions, this lake is very popular as a training ground for nature lovers and members of the military. For the military, especially the Special Forces (Kopassus) Indonesian National Armed Forces (Army}), there has been carried out exercises all the time, namely since 1958. Geographically, the region is very adequate for combat simulation using grenades and bullets. No wonder, if we would often see soldiers base camp at this lake area. Interestingly, as a military training ground, the lake is also known by the national army special forces of other countries, such as Australia, Singapore, and others. In fact, the Australian army had been trained here. when I was growing up during the 1980s, We entered that place for camping freely. in contrast to today, Lake Lembang area closed to the public, because to be a place for the training of special forces soldiers. if the common people want to come to this place must ask permission to army headquarters first. 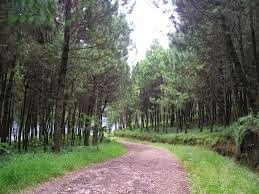 Lake Lembang region also has a very wide pine tree area. For you who already have come here and barred by the clerk, do not worry. Because here there is also a waterfall tourist area no less beautiful called Tilu waterfall. because tilu waterfall is still open to the public. But to get to the waterfall tilu you have to leave your identity card at the officer post. Hello colleagues, fastidious article and nice urging commented here, I am in fact enjoying by these.